The following is a letter to the Today newspaper by Mr Leong Sze Hian. I refer to “MPs: Is it really secure?” (July 21). 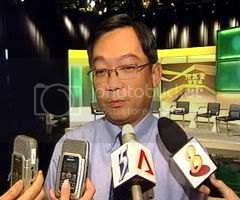 Since Manpower Minister Gan Kim Yong has given his assurance in Parliament that the monthly payouts will be paid for life — despite the provision in the new law which allows the CPF Board to stop CPFLife payments unless the Lifelong Income Fund is solvent — then why have this provision in the first place? Years down the road, the law will prevail, regardless of what the minister said in a past Parliamentary debate. Moreover, as “the minister cannot make changes at will but must base his decisions on sound actuarial principles to ensure that fund solvency will not be compromised”, is this not somewhat self-contradictory? As how then can the fund become insolvent and thus stop payouts? I understand that historically, no country in the world has ever had to stop pension payouts due to fund insolvency. Even insurance companies’ annuity contracts are contractually backed by the full faith and credit, and assets of the insurance company, and are not subject to the solvency of the pooled annuity fund. So, why is CPFLife so different? Despite the vigorous debate, I think some Singaporeans may be disappointed that Parliament has passed a law which effectively changes the current 4 per cent guaranteed return (plus one per cent on the first $60,000) on monthly payouts from age 62, to one which can stop payouts altogether if the fund is insolvent. When the scheme was originally announced, implementation was to have been in 2013, to give Singaporeans some time to make adjustments to their retirement planning, as the payouts will start later at age 65 instead of 62, and the payout amount may also be lesser. Bringing it forward now by more than three years to September this year may cause financial stress to some Singaporeans, particularly the lower-income ones.